Ordering: Molly loves to party. So invite her to your next one. 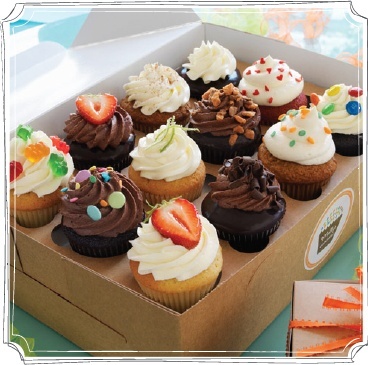 We can do custom creations like mixing different sizes or including center-filled cupcakes with classic cupcakes. During busy times, we may not be able to accept same-day orders and we may have to limit walk-in purchases to two dozen cupcakes. Weekends are especially busy.